Agassiz – As you are driving Highway 7 at Mt. Woodside west of Agassiz, you will notice new speed activated curve warning signs that have been installed. This is part of the ICBC safety initiative. 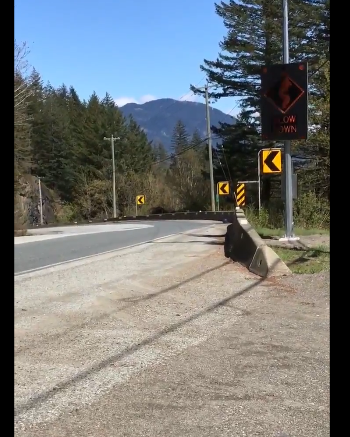 Be the first to comment on "New Speed Activated Curve Warning Signs Installed At Highway 7, Mt.Woodside Near Agassiz"